We have updated the client installation page. The new beta link is included. Our study guide for 2014 Handiham Radio Camp Operating Skills will be the ARRL Public Service Handbook First Edition. It is available from your favorite ham radio dealer or directly from ARRL. Blind Handiham members should contact us for the DAISY version. We will be happy to place it on your NLS DAISY cartridge for you. We are working on the camp application process this week. Radio Camp applications will be sent from True Friends, the new nonprofit camping entity that operates Camp Courage, where we will be enjoying the Radio Camp session this coming August. If you have already contacted our Handiham office for a camp application, don’t worry – we will make sure True Friends sends you an application. We are pleased to have a full week of camp this year. More time for more fun! This is a photo of the new 2014 True Friends Summer catalog. Be watching for it in your mailbox if you have camped with us before. You will not receive a separate Radio Camp application packet from Nancy this time – so be sure to pay attention to the True Friends catalog and mailings! We did hear from one potential radio camper who threw the camp materials away because he thought they were from someone else. If you are planning to attend Radio Camp and need radio equipment to complete your station, please let us know when you send your camp application in. We will have equipment available for you to take home after camp if it is available. As before, we also plan to send new Technicians home with two meter radios. True Friends had been called "Camps of Courage and Friendship" after Courage Center and Friendship Ventures, both involved in camping for people with disabilities, merged to form a brand-new nonprofit to carry on their shared mission. Some of your old familiar faces are still right there at camp, including Tony Bown, and his mom Colleen, both of whom have worked many Handiham Radio Camps in the past. Although Tom Fogarty, KB0FWQ, has retired, his wife Mimi is on the board of True Friends. Both Camp Courage and Camp Courage North have retained their old names, which they have had for many years. Handiham Remote Base station W0EQO is permanently located at Courage North and is available for your use 24/7. Handiham repeater W0EQO-R is at Camp Courage, where it runs 24/7, always connected to the *HANDIHAM* Echolink conference. We will enjoy being connected to the world while at camp this summer – all you need is a two meter handheld radio! 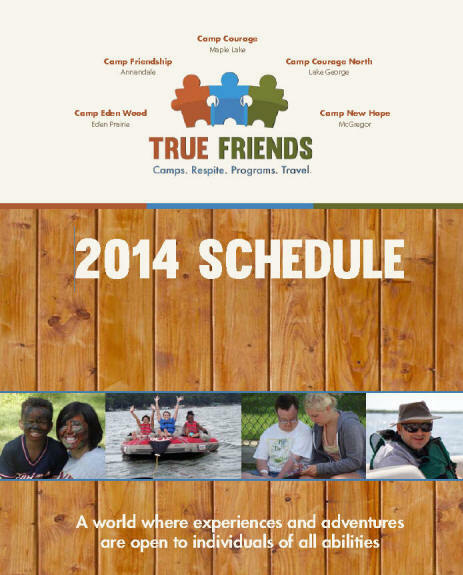 True Friends operates three other camps besides the two Courage camps. There are many opportunities for fun at camp, thanks to True Friends! 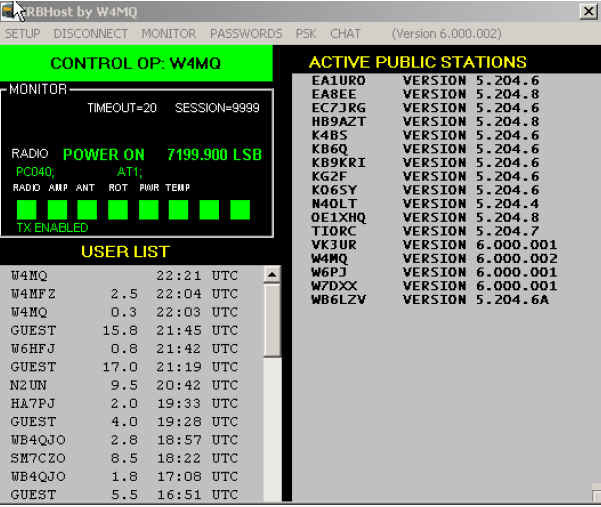 Image: Screenshot of Host software in operation after installation and setup. The W4MQ remote base hosting software is used to set up your own transceiver for remote base operation. If you want to use an existing remote base station, you should instead install the W4MQ Client Software. The IRBHost works best on a broadband connection, but will work (using the IRB Sound only) on a dial up connection. Dial up is NOT recommended! Static vs. dynamic IP address: If your Internet address is not fixed by your ISP, then you must use an IP to URL mapping service such as www.no-ip.com to provide users with a fixed URL for your dynamically assigned and changing Internet address. If you use Skype on the host side for audio, you need to set the Skype application to auto-answer calls. That will allow users who choose Skype audio to initiate contacts and immediately hear the audio from the radio without user intervention at the host computer. Users must be in the Skype contact list on the host computer. You can send out Skype contact requests directly from the host machine if you want, or you can ask your users to send Skype contact requests to the host machine’s Skype name. You will have to approve the Skype contact requests manually from the host machine. Extreme cold has moved into Minnesota. The outside temperature at W0EQO is -27 F and at W0ZSW -23 F. Both stations remain in service. Skype audio is working normally. IRB Sound audio is available for both transmit and receive on W0ZSW and for receive on W0EQO. A polar air mass is moving in to northern Minnesota, and temperatures at at Lake George, where the station is located, could fall to -30 F on Sunday, January 1, 2014. The cold will remain for several days. The station is located in an unheated IT room, with the only heat being that given off by the equipment. The station has weathered cold in the past, but this air mass is the coldest since 1996, and the station has never been exposed to this extreme. While we expect everything to keep working, we do appreciate reports from users about anomalies or failures. W0ZSW is located in a heated room and is not expected to be affected by -25 F predicted temperatures in its location.